Yamaha has released images and some info about its T7 Concept bike. The T7 is what Yamaha designers have come up with for their idea of the ultimate off-road capable adventure bike. The T7 concept is built around the CP2 (Cross Plane Twin) engine, currently used in the FZ-07, wrapped inside an off-road specific chassis that includes Rally-type bodywork, long travel suspension, upswept exhaust and spoke wheels with knobby tires. 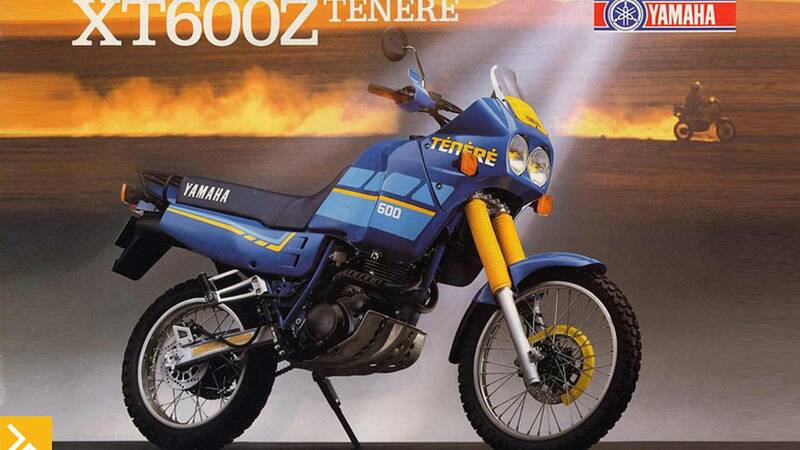 The press release accompanying these images makes a point to remind us that the original Yamaha ADV bike, the XT600Z Tenere was based on the actual Yamaha Dakar Rally racebikes and it was one of the most popular selling models ever produced in Europe, selling 61,000 units during its decade-long production run, between 1984 and 1994. Although history has shown that not very many concept bikes actually make their way into production, there’s something about the T7 that would justify it making the cut. First of all the battle between Yamaha and its Japanese manufacturing rivals is never enduing. 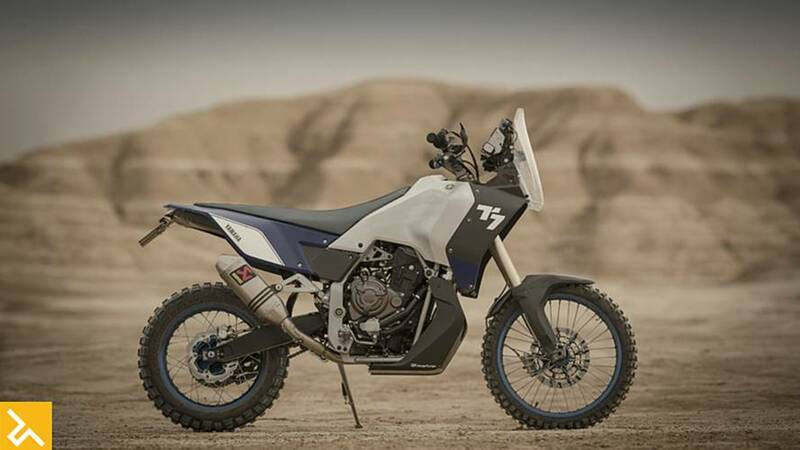 With the recent release of the Parallel Twin powered Honda Africa Twin and now the little CRF250L Rally, along with successful Suzuki V-Strom and Kawasaki Versys it the would seem to be potential inspiration for Yamaha to pull the trigger on some variation of this concept. 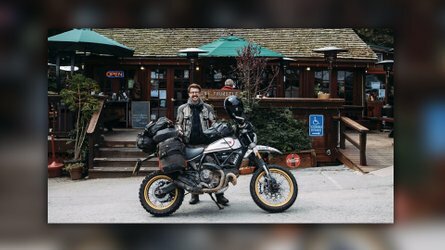 The Super Tenere has proven itself a capable ADV bike although it hasn’t enjoyed the acclaim or sales success of bikes like the KTM Adventure or BMW GS Adventure, so the idea that Yamaha would take another stab at the ADV market would make sense. 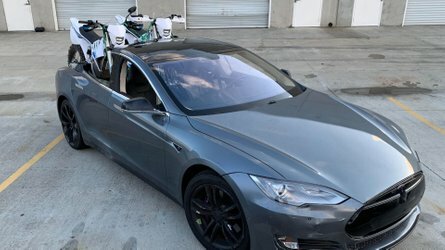 Even if the CP2 was inside a more street friendly chassis it would still be nice to see another player in the smaller-displacement ADV market. Maybe this would evolve into a Yamaha Tenere 700 someday down the line? 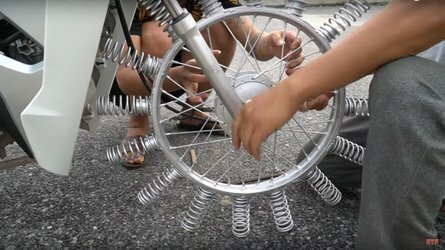 “This lightweight machine is based on an all new chassis that has been designed to complement a specially developed version of Yamaha's highly acclaimed 700cc CP2 engine, delivering strong torque and an easy power delivery for perfect traction in all conditions. 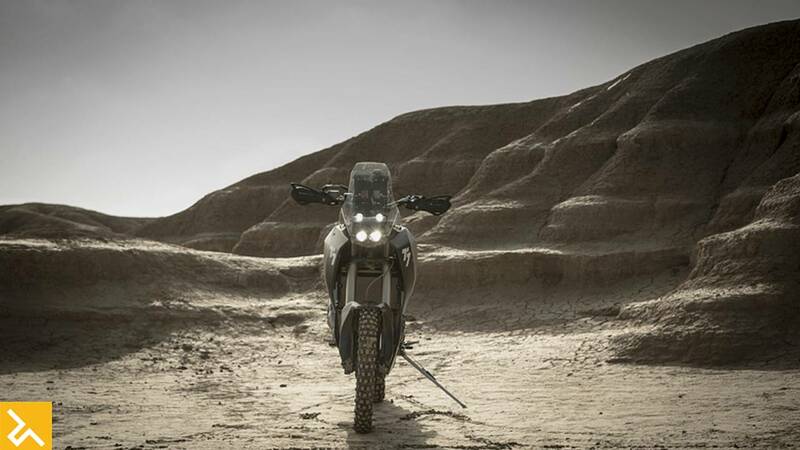 Equipped with an aluminium fuel tank, 4-projector LED headlight, a carbon fairing and skid plate, and a custom made Akrapovič exhaust - as well as high specification KYB front suspension - the T7 is a vision of the ideal adventure machine, and is playing a major role in the development of Yamaha's next generation adventure models. 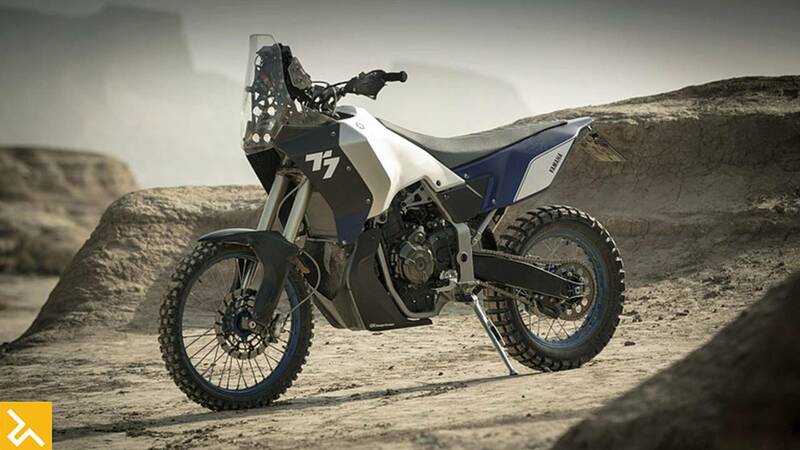 A committed team composed of Yamaha's engineers, designers and product planners from the Official Rally Team in France, the R&D in Italy and GK Design in the Netherlands have developed the new T7 concept. Each member of the team is driven by a desire to create something that would fit the needs of the adventure traveller and represent the Yamaha vision for the next generation of adventure bikes.